Blacktown is the largest suburb in New South Wales and is among the most multicultural places in Sydney which is why many people move here from around the globe every year. Similarly, Alexandria is known for its attractions as well. So while moving in or at end of lease, West Link Services is called for providing their end of lease cleaning Blacktown or end of lease cleaning Alexandria services. Most of the time for rental property, tenants, and real estate services provider use our professional services regarding house cleaning. 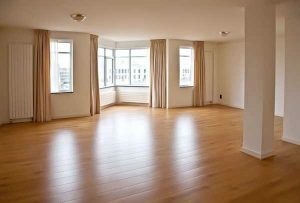 So if you moving out of a rental property and need to deliver the place back to its owner in the same condition it was in as when you moved in then call West Link Services today for paying you a visit and give you affordable quote regarding end of lease cleaning Blacktown or end of lease cleaning Alexandria or any place or suburb in the Sydney. We understand the criteria for inspection well and we know exactly what owners and landlords look for when conducting a final property inspection. This is why we set our standard higher than any of the other cleaning services provider in whole Sydney. End of lease cleaning is a difficult procedure and is tough to do all by you, so anyone who has completed an end of lease clean they can relate to it. It takes so much of your precious time when you can spend that time with your family and friends while we take care of all the end of lease cleaning for you. West Link services specialize in these sorts of tough cleaning procedures and our experts can do it so well and save you a lot of trouble that you could go through on your own while spending extra money on the equipment that you will never use again or more than once or twice in your life. Save yourself the hassle by calling West Link Services and they can provide you best end of lease cleaning services at your doorstep. Don’t choose someone who just offers you cheap rates for the lousy cleaning services and put your bond in question. With our experts at West Link Services, we will offer you an awesome rate according to your budget and you’ll receive the best cleaning services so that your landlord or property agent has no reason to hold on your bond back. What Does Our End Lease Cleaning Service Cover? In short, we clean everything that needs to be cleaned in a first go.